STORMONT politicians have a ‘responsibility’ to help solve the Holyland problem, residents have claimed in the wake of a new report into the troubled student enclave. The ‘Holyland and Wider University Area Strategic Study’ has finally been launched to the relief of locals living among party-loving students. The report stresses the need for a city-wide housing strategy stating Executive level support is crucial in implementing the findings and also from preventing other areas in Belfast from becoming student ghettos at the expense of long-term residents. 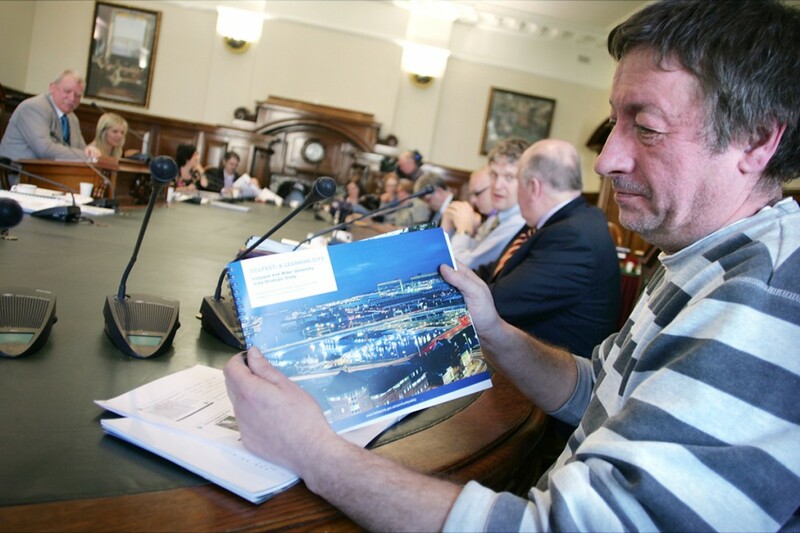 Holyland residents’ spokesman Liam Kielty attended the City Hall launch of the report, and told the South Belfast News that those living in the area will now be turning their attention to the ‘folks on the hill’. “It’s a relief to finally have an independent report underlining what we as residents have always been saying,” he said. “The council have to be admired for commissioning this document but now it’s the turn of our Ministers to do what they can in making sure the report’s recommendations are implemented. The long-awaited report was first proposed by Sinn Féin’s Alex Maskey, who said the lack of Ministerial support so far was “disappointing”, and praised the residents who have endured anti-social behaviour for years. “It was most disappointing that no minister was prepared to fully address this on-going nightmare for those living in the area year after year,” the local MLA said.